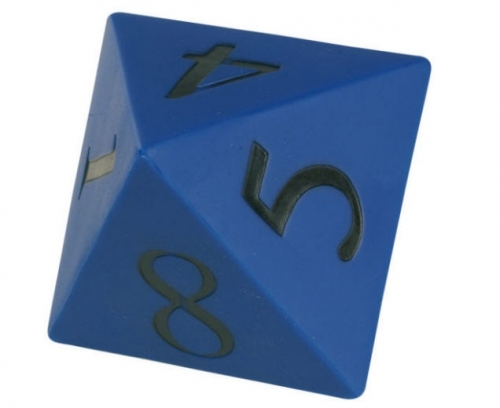 A series of dice, all produced in heavy duty plastic. Size about 10 cm. Easy visible by a group of children. To be used for counting exercises.